One of cool things about the apartments in Korea is the ability to go onto your roof anytime you want. 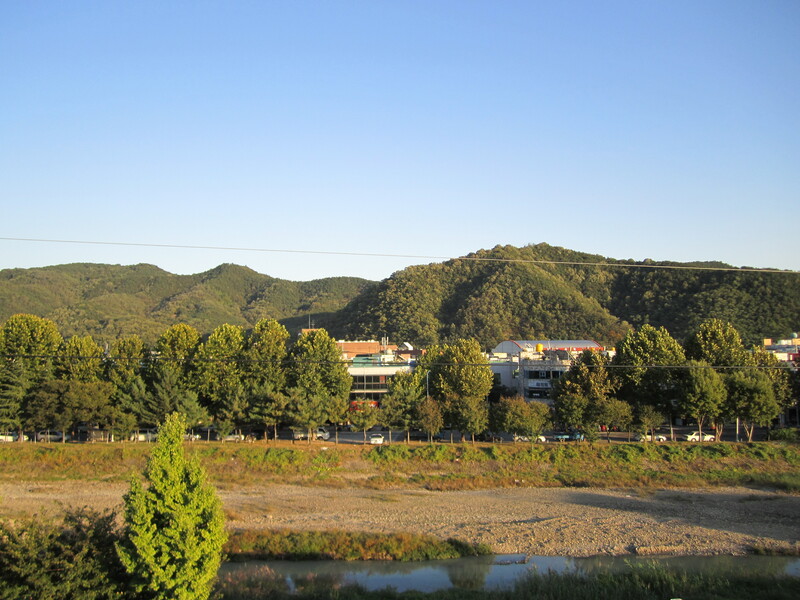 This is the view from my studio in Chilgok. This is the place I go to get a few minutes to myself. My place of Zen, if you will. 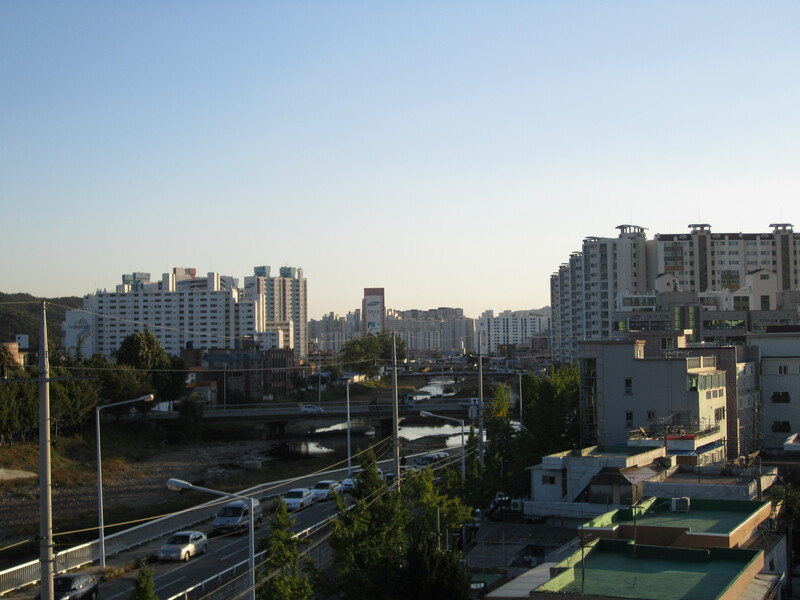 Interesting fact about Korean rooftops: It is prohibited to grill at any of the parks inside city limits. But you can go on the roof of your apartment building and barbecue up a meal.